Victims of Bernie Madoff's multi-billion-dollar Ponzi scheme will be receiving more of their stolen money back this week. Irving Picard, the court-appointed trustee in charge of liquidating Madoff's investment firm, said checks totaling $2.5 billion were mailed Wednesday. "While this progress is extremely gratifying, we will not cease our work to continue recovering assets for the Customer Fund, and we will make additional distributions as soon as practicable" Picard said in a statement. 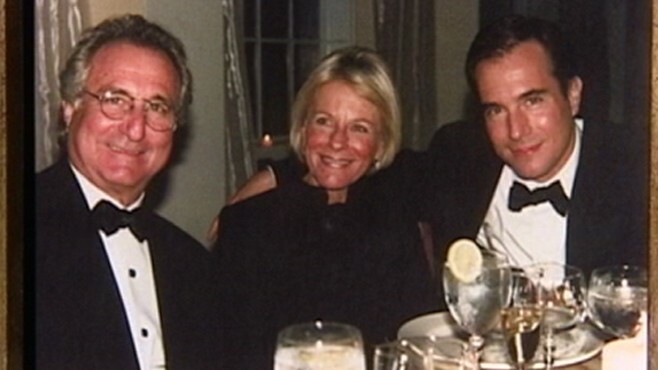 Madoff's decades-long investment scam, the largest in U.S. history, collapsed in December 2008 after he confessed to his sons that it was a pyramid scheme and they turned him in to the FBI. Picard has estimated that Madoff defrauded his customers of roughly $17.3 billion, and so far he has recovered just over half that amount. With this week's disbursement of $2.5 billion to 1,100 swindled investors, Picard has returned more than $3.6 billion to victims. The average size of the checks mailed Wednesday was $2 million. "The second pro rata interim distribution, combined with the $1.146 billion already advanced or distributed to [Bernard L. Madoff Investment Securities] customers with allowed claims, results in a total of approximately $3.625 billion returned to date to these victims of Bernard Madoff," Picard said. Madoff was charged with 11 counts of fraud, and pleaded guilty in March 2009. Now 74, he is serving a 150-year sentence in a federal prison in North Carolina. A dozen others linked to the case were also charged by the office of the U.S. Attorney for the Southern District of New York. Only a handful of victims are being made whole. Many more will receive about 34 percent of what Madoff stole from them.